Last week, I was watching The Real Daytime and was inspired by a guest of their’s to create this post! Introducing 15 year old Paige..featuring my favorite hand on the hip pose. 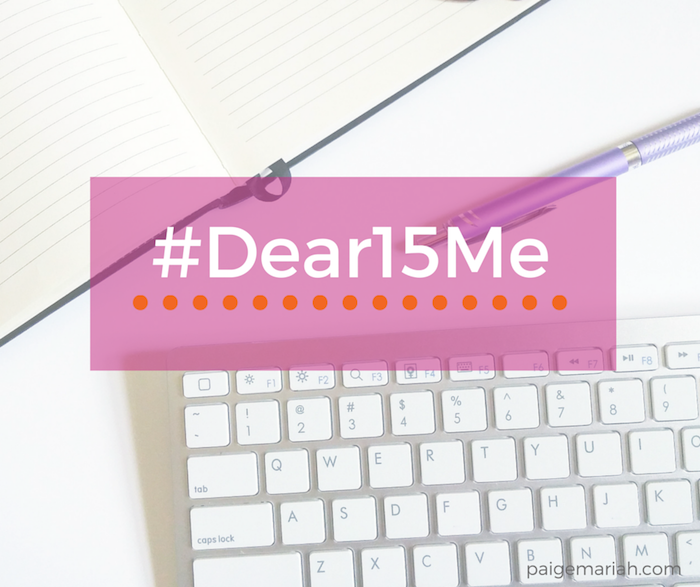 In honor of this awesome campaign…here are 15 things that I would love to be able to tell my 15 year old self! Stop stressing about your Sweet 16 party. People will actually show up! Keep working hard in school, it will later pay off in college acceptance letters and scholarships! Don’t pay attention to all of those annoying and rude people at your high school. If only you knew where a majority of them would be in life 8 years from now…ha. Out of all those “BFFs" you have right now, Amber is the only one still there. Go give her a big hug! You may think that you have your career plans all figured out…but the shy girl that you are now would be so surprised to see the career path that you've chosen. Your mom will finally let you get your eyebrows waxed at 16…it will change your life forever. You just got your learners permit! At 23, you’re going to be able to purchase an amazing car all by yourself! Though you’re still a tad shy…you’d literally be amazed at how far you’ve come out of your shell. All of those major problems that you think you have now…you ain’t seen nothing yet. Don’t worry though…it always gets better and it’ll only make you stronger. Spend more time with your grandmother. What are some things that you’d love to tell your 15 year old self? Let me know in the comments! If you enjoyed this post, please feel free to use those share buttons below and tell a friend! I love this Paige! Now in thinking of jumping on the bandwagon.